Let us plan your dream wedding! 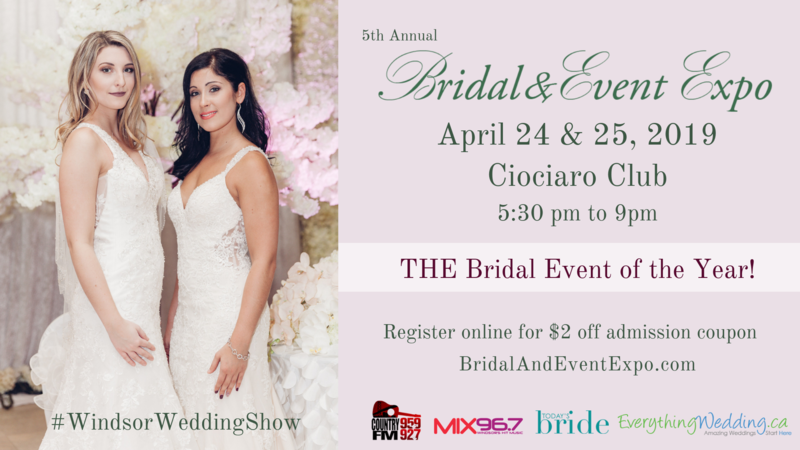 You won’t want to miss our Bridal and Event Expo! Local professionals will be showcasing their unique products and services to assist you in the planning of your special event. Watch our dynamic fashion shows showcasing the latest in bridal attire. Exhibitors will be giving away amazing prizes and offering spectacular show promotions that you don’t want to miss. Book your services on site at The Bridal and Event Expo!! !